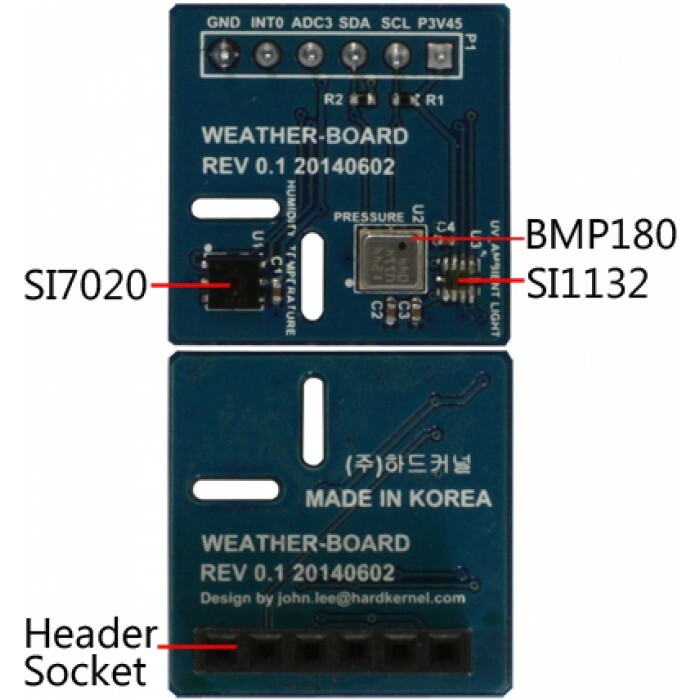 With a few batteries, you can make a portable outdoor weather data capture system. 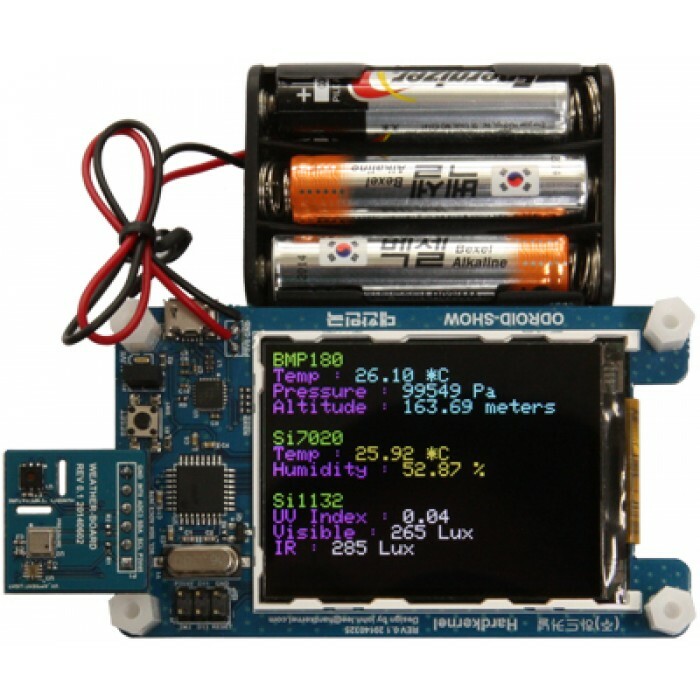 You can also connect it to your host PC or ODROID via ODROID-SHOW to log the various environmental data like a weather station. 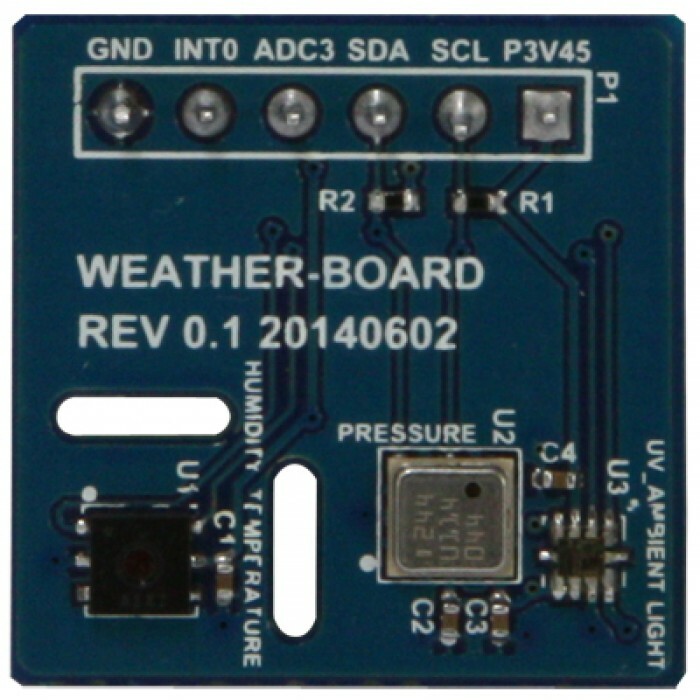 Put your weather board on the ODROID-SHOW and connect a micro-USB cable to your host PC or other ODROID Linux boards. If the connection is established, you can find /dev/ttyUSB0 or similar one. 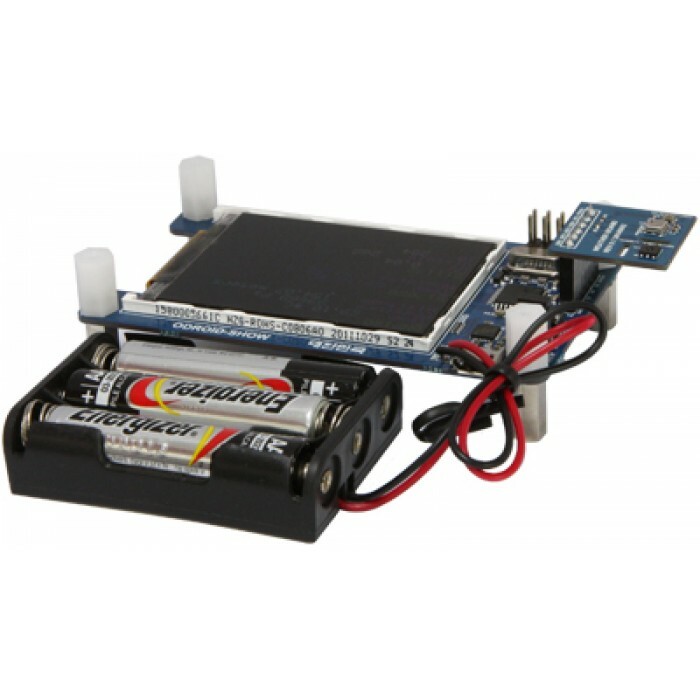 Connect 3~4 Alkaline or NiMH/NiCD batteries if you need a portable device. Download the sketch file and libraries from this link. 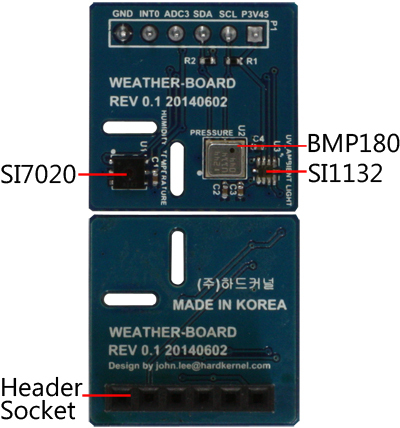 Check the place of weather_board.ino sketch file. Select “preference” in the File menu and choose “ODROID-SHOW” of sketch folder. To add proper libraries, Select Import library -> Add library and “ODROID-SHOW/libraries. It’s time to build and upload the sketch file. The jumper(nearby reset button) must be installed. You will see this screen which shows various weather data. More detail process is described on our WiKi. 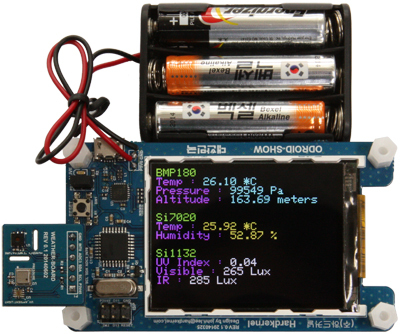 Qt based GUI application program can monitor and show the weather data graphically.